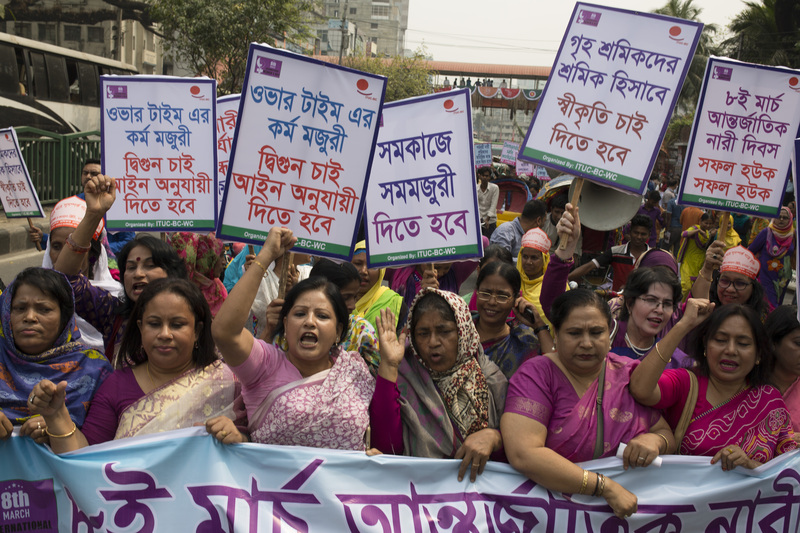 On International Women’s Day, women around the world celebrated by marching in more than 50 countries, taking off from work to make clear what “A Day Without A Woman” would look like and wearing red in solidarity. In New York, a bronze statue of a girl was installed to stare down the iconic Wall Street Bull over gender inequality. The day was first observed in 1908 in New York City, where women marched for suffrage and workplace improvements. 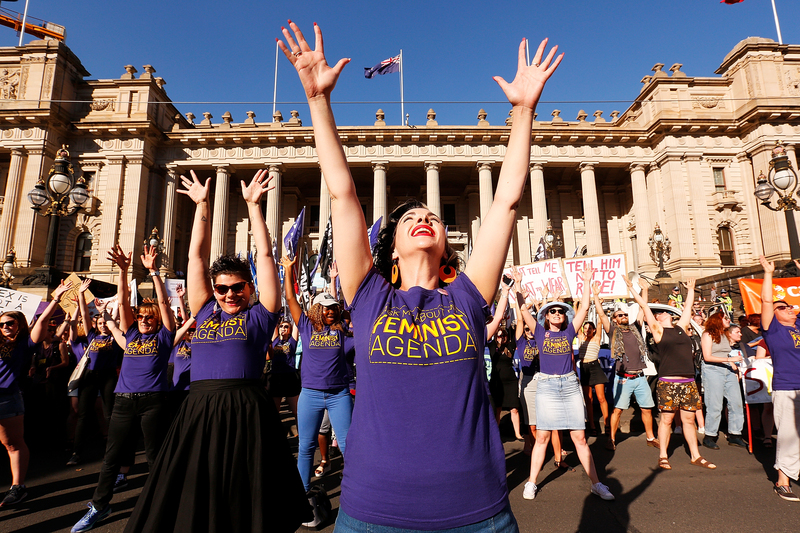 After several years of continuous demonstrations across the U.S. and Europe, March 8 was officially designated as International Women’s Day. The date is significant because it was the day a women’s march in Pretograd, Russia led to the start of the Russian Revolution. 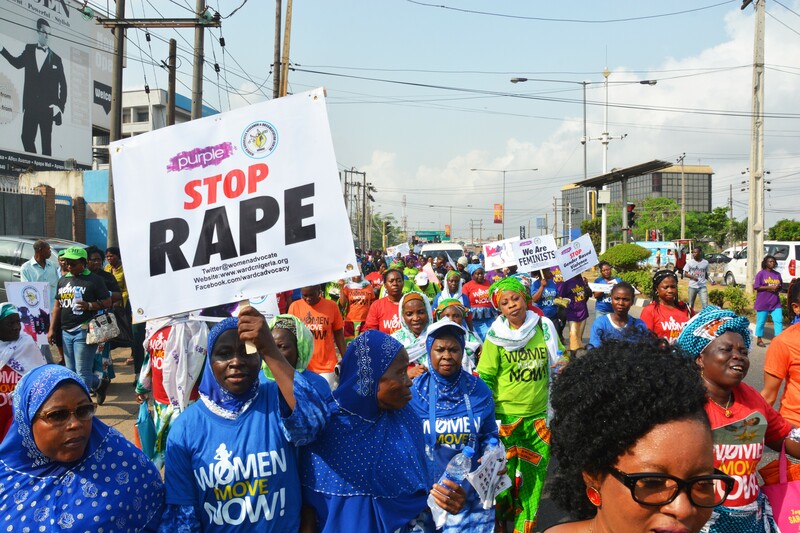 This year, the United Nations used the day to shine a light on the 2030 Agenda, an ambitious plan to ensure girls and boys have equal access to education, that discrimination and violence against women are halted, and that forced marriage and female genital mutilation end. 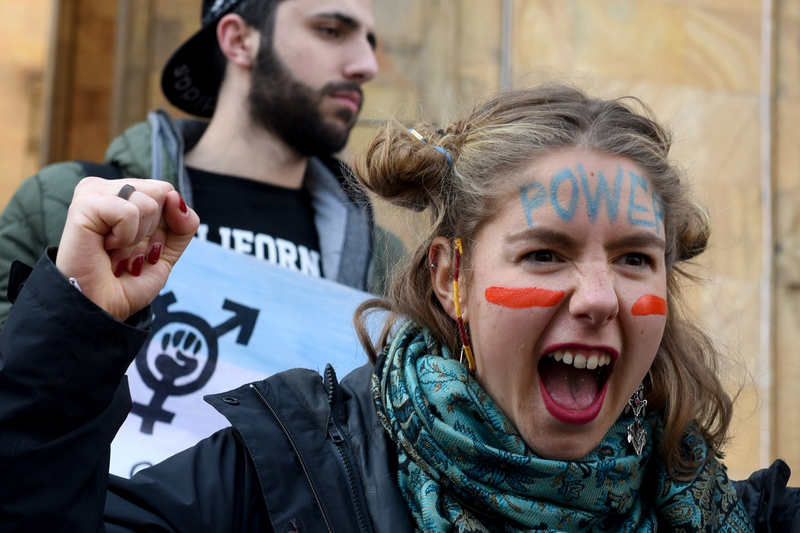 Below, see photos of International Women’s Day demonstrations from around the world. 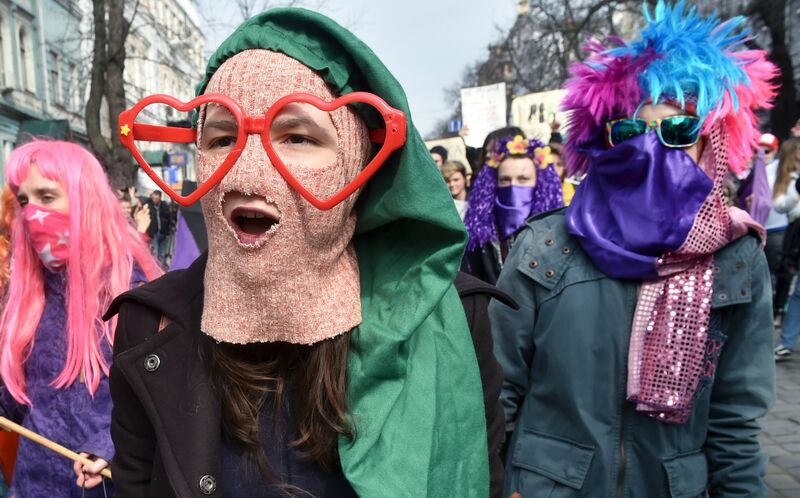 An activist takes part in “A Day Without a Woman” strike on International Women’s Day on March 8 in Washington. Photo by Kevin Lamarque/Reuters. 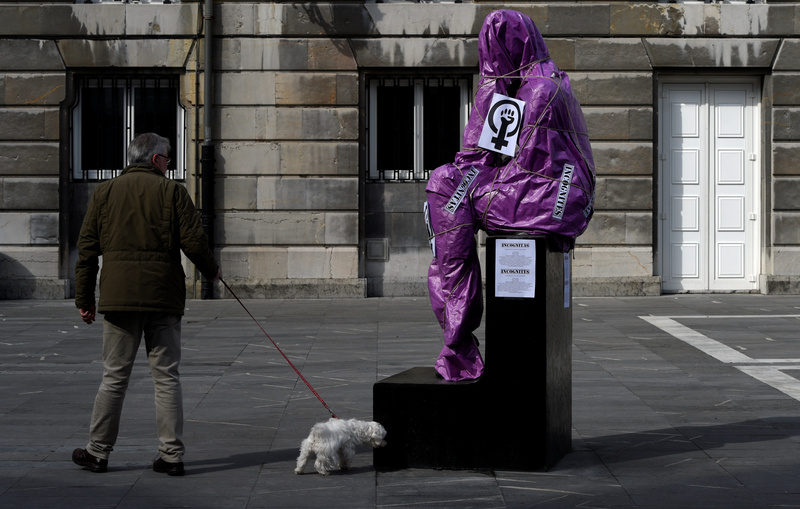 A man and his dog walk past the sculpture of a woman covered in paper and ropes as part of a performance to protest the lack of visibility of women in public spaces, on March 8, International Women’s Day in Oviedo, Spain. The covered statue is “La Pensadora” (The female Thinker) by Spanish artist Jose Luis Fernandez. Photo by Eloy Alonso/Reuters. 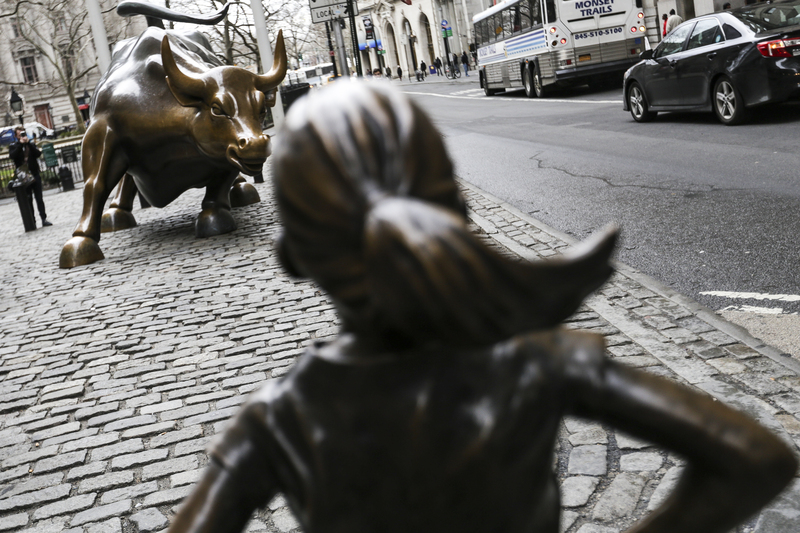 A statue of a defiant girl stands facing the Charging Bull sculpture in the Financial District of New York on March 8. State Street Global Advisors, a nearly $2.5 trillion investor and unit within State Street Corp., installed the bronze statue in front of Wall Street’s iconic charging bull as part of its new campaign to pressure companies to add more women to their boards. 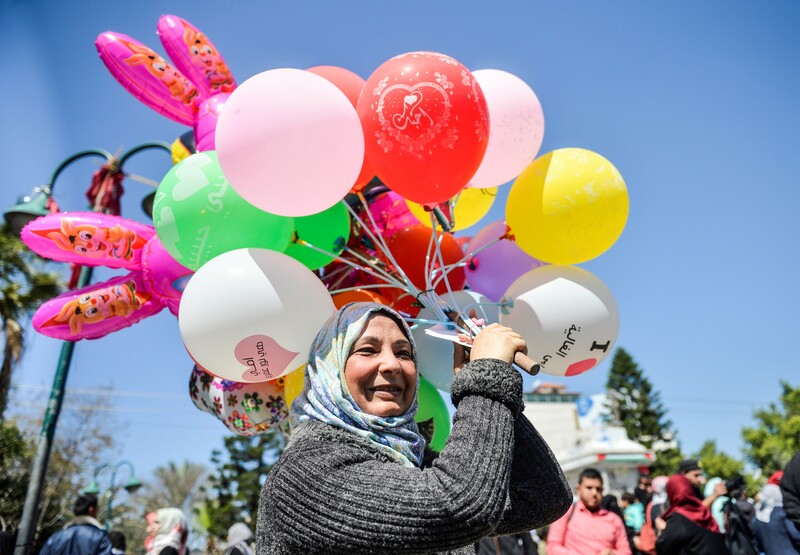 Photo by Jeenah Moon/Bloomberg via Getty Images. 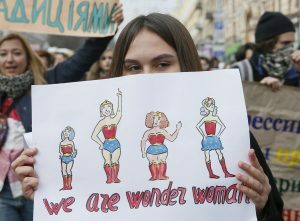 Left: A woman holds a placard during a rally on March 8, 2017 for gender equality and against violence towards women on International Women's Day in Kiev, Ukraine. Photo by Valentyn Ogirenko/Reuters.